Sean Kelly is straight out of the big book of cycling legends. The Irishman dominated the Classics scene throughout the 1980s, scooped four green jerseys at the Tour de France and won the Vuelta a España in 1988. These days he’s best known for delivering laconic-but-insightful commentary alongside more excitable presenters for Eurosport’s cycling coverage. During his career, Vitus bikes were his predominant weapon of choice, but the brand had settled into obscurity until its recent resurrection by Ireland-based Chain Reaction Cycles, which ensured that Kelly’s name was inextricably linked with the brand. Vitus has enjoyed a bit of a cult status among retro race bike aficionados. Specifically, the pioneering aluminium Vitus 979 has been a bike that collectors still lust after. It came about through the union of tubing expert Ateliers de la Rive, which provided the then-innovative aluminium tubes, and component manufacturer Angenieux-CLB, which brought functional lugs to bond the tubes together. The result, when mixed with a little helping of Sean Kelly, resulted in multiple pro wins and enduring fame. The company has certainly gone through some changes since then. Bought up by Chain Reaction in 2007, the brand has aspirations for the type of web-only success that propelled the likes of Canyon to international success. And the Vitus Sean Kelly Ltd Edition stands as its current flagship steed. At first glance, the price point is certainly the most arresting aspect of the Sean Kelly Ltd Edition. It’s a SRAM Red build that can be bought for only a whisker under three-and-a-half grand – a rare find indeed. Thanks to Chain Reaction, Vitus is in a strong position to take advantage of customer-direct savings, and on paper the Sean Kelly could line up against bikes that are $1,600 dearer. But as a new brand with no background in carbon, there were certain challenges in taking this bike from concept to reality. An ‘open-mould’ frame – one owned by a factory and open to any brand to use – carries connotations of cheap Far Eastern automation, but it’s actually a fairly common practice among manufacturers, and doesn’t necessarily detract from the quality of the bike. 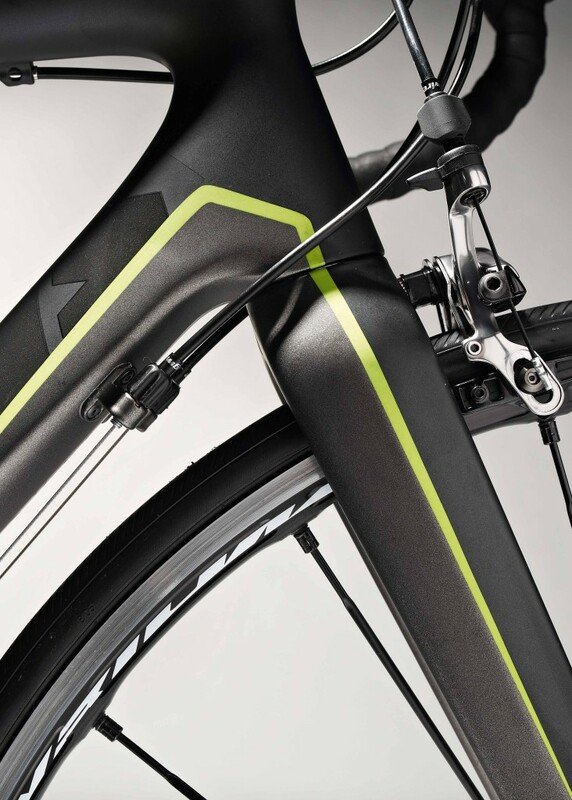 Where possible, though, Vitus has meticulously tuned the carbon lay-up of the frame, and has its sights firmly set on a mould of its own within the next few years. It was immediately clear when I took the Vitus for its first spin that stiffness may have won that battle.  The result is a bike that pushes easily up to high speeds and is responsive and tight in corners and descents – seemingly losing nothing to flex. 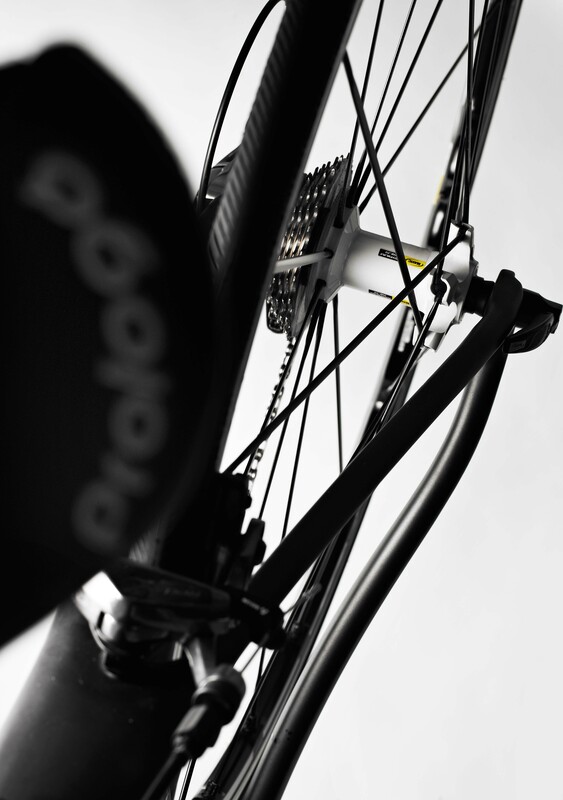 Add to that its standard 53/39 chainset and it’s clearly a bike that would do anyone justice on the race scene. 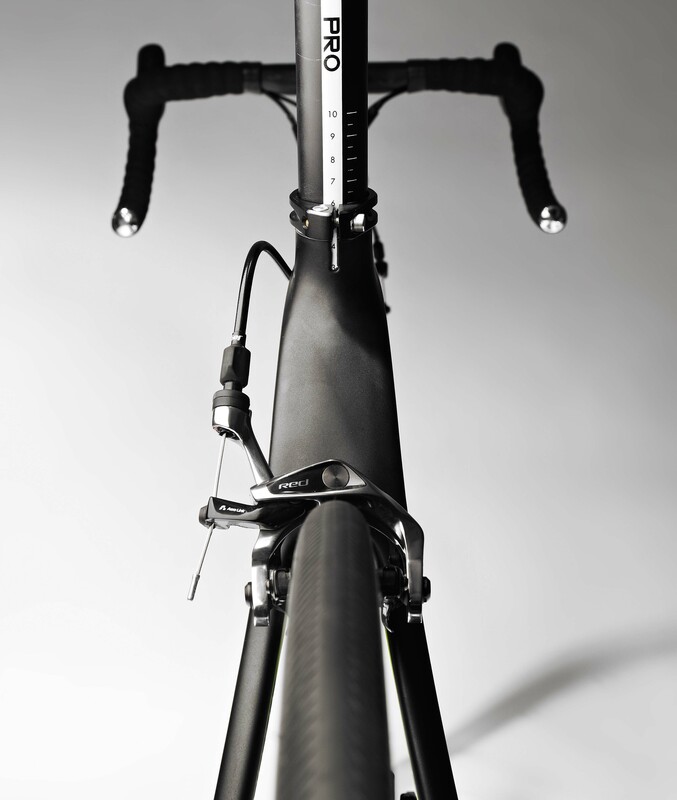 But with its stiff lay-up and robust aluminium seatpost, speed seems to have come with a degree of trade-off in comfort. partly because of the palpable discomfort of sitting on the saddle over rough road surfaces. Having ridden on the heavy and hole-ridden roads that cover Ireland, it’s a surprise that an Irish brand hasn’t made a bike easier on the rear end. That said, it’s nothing that a good pair of bib-shorts can’t compensate for, and even on five or six-hour rides the bike was far from unbearable. McMullan also confirms that the next iteration of the bike will be fitted with a carbon seatpost, which could potentially go some way towards smoothing out the ride. Despite the harshness, I was left admiring the bike’s no-nonsense feel. 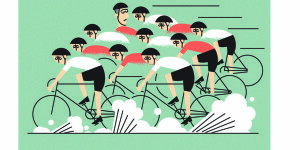 It seems to scream of Sean Kelly’s own hard-man racing style, as if to question its bumpy ride quality would win you a rebuff straight from Rule #5 (see page 102). And, much like Kelly, the bike is plenty fast. Vitus doesn’t make any spurious aero claims for its Sean Kelly Ltd Edition, and it certainly holds its own against the competition in the weight division. With SRAM Red and a Ksyrium SLS wheelset (again, an excellent spec at this price), our 56cm frame weighed in at a smidgen over 6.9kg. While it’s easy to simply assume a lighter bike will climb better, the Sean Kelly Ltd Edition does seem easily persuaded uphill. On the flats it begs you to sit on the drops and simply churn out a rhythm. So much so that I found myself regularly sneaking away for one-hour blitzes through my local haunts, and chasing down every rider I saw. That leaves just one area for Vitus to slip up: aesthetics. It’s a minefield for new brands, but the response from other riders while I was on the bike was overwhelmingly positive. Only last weekend in Epping Forest I was accosted by a group of construction workers who were oddly awed by the look of the bike. The bold green decals will raise eyebrows, but are also a welcome change from the sea of red, white and black out there. As for who would be the perfect customer, this Vitus is probably best suited to racers or the more aggressive ranks of sportive riders and Strava-bashers. Ultimately, credit has to be due to a brand that has come back from the ashes and, rather than milk the prestige of the old days, has set its sights on the biggest players on the scene. 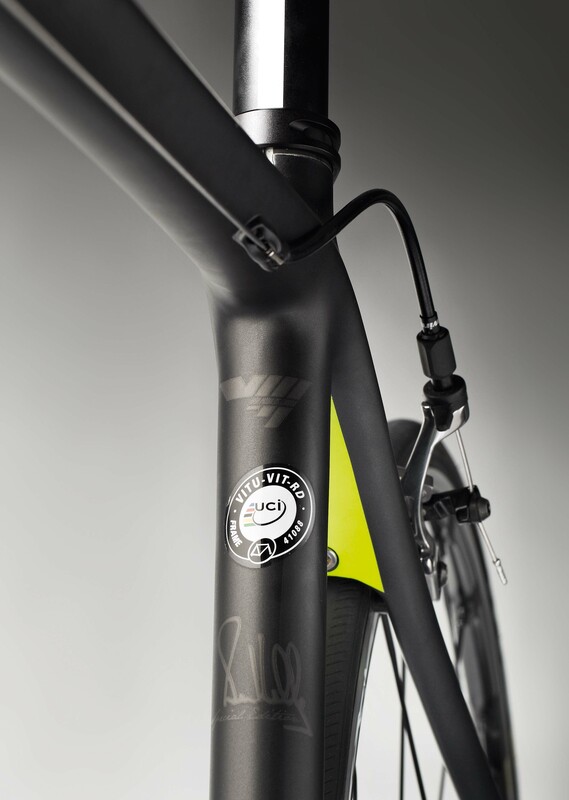 Certainly, if Vitus continues as strongly as it has begun with the Sean Kelly Ltd Edition, it will be a brand to keep a close eye on in coming years.